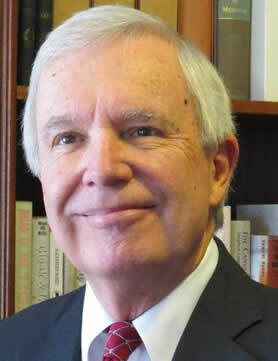 Dr. Carnes began his career in patient care and medical education approximately 3 decades ago. He completed his Ph.D. at Indiana State University, and subsequently completed an internship at the Family Medicine Residency at Union Hospital in Terre Haute, Indiana. He was on the faculty of that residency until 1985, when he joined the faculty of the Family Medicine Residency at Bayfront Medical Center in St. Petersburg, Florida, and the Department of Family Medicine at the University of South Florida. He was active in the Society of Teachers in Family Medicine, serving as the co-chairman for a national task force on behavioral sciences in family medicine residencies. He developed an interest in trauma, and served as the state coordinator for disaster mental health services in the state of Florida. He recently completed a 25 year teaching career with Bayfront Health System, where he was Director of Medical Education, and Chairman of the Institutional Research Review Committee. During his tenure, he spoke nationally in the area of psychosocial aspects of geriatric care. Now in full-time private practice in St. Petersburg, Florida, Dr. Carnes devotes his time to geriatric patient care, and teaching family medicine residents. His clinical interests include the psychological aspects of trauma, behavioral medicine, and geriatrics. He is also a regular speaker for University at Sea.